I consider myself a pretty good mom. On other days, I feel like I've made some... questionable parenting decisions. And occasionally, I'm 100% completely convinced that there's absolutely no chance my children will escape my house without me completely ruining their lives and possibly turning them into dangerous criminals. After any one of these types of days, I might end up in bed at night staring at the ceiling, reviewing all the choices I'd made and counting my many, many regrets. Your regrets are never ANYTHING like your kids' regrets. Don't believe me? Still think you're messing up? 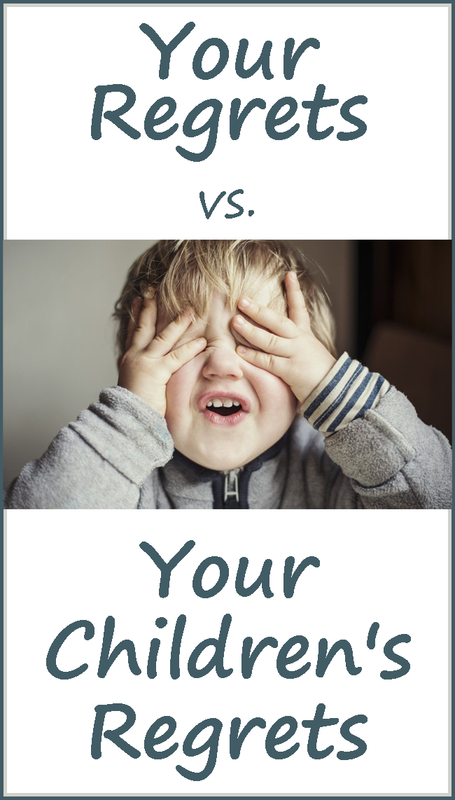 Stop by momdotme, where I've compiled a funny list of your regrets versus your children's regrets. Because you're doing great - especially compared to those shameless kids!